Anymore, prescription drugs are becoming one of the fastest growing types of drug crimes seen in criminal courts throughout the country. 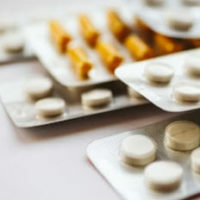 In fact, the government estimates that about 54 million Americans have used a prescription medication for a non-medical or “recreational” purpose at least once in their lifetimes. That represents a little more than 16% of the entire U.S. population. Attorney Todd K. Mohink routinely helps people who’ve been arrested and charged with illegal use of controlled substances, even when those substances are regular prescription medications. Here are three of the more common defenses that may help you get out of a conviction. If you can show a judge that the stop was performed as a pretext or excuse for an unlawful purpose, such as pulling someone over for being African American in a largely white neighborhood, then evidence discovered during the stop may be excluded. It sadly happens more often than one would imagine. Say a police officer had a valid reason to pull you over on suspicion that you were drunk. You pass a field sobriety test and the breath test, yet the officer asks for permission to check your trunk. You decline respectfully but he persists and decides to detain you and search the trunk anyway. The problem here is that the officer has no lawful reason to suspect that you have something illegal in your trunk. The reason for the stop was to check to see if you were intoxicated. Once that suspicion was resolved, unless there was some other clear indicator of criminal conduct, it would generally be impermissible to forcibly check your trunk. As always, however, there are exceptions. If the officer takes possession of the allegedly illegal substance then fails to maintain a clear chain of custody, it may not necessarily mean the case is lost, but it will provide you and your attorney a strong argument to show that there is no way to prove that the item being tested or presented to a jury as being a controlled substance is the same thing that was found in your vehicle. Without a proper chain of custody, there is a strong chance of the prosecutor offering a plea agreement rather than risking a not guilty verdict. If you are facing a criminal charge, never take chances. Call the Law Offices of Todd K. Mohink, P.A. in Maryland today to discuss your case and get knowledgeable and experienced help right away.